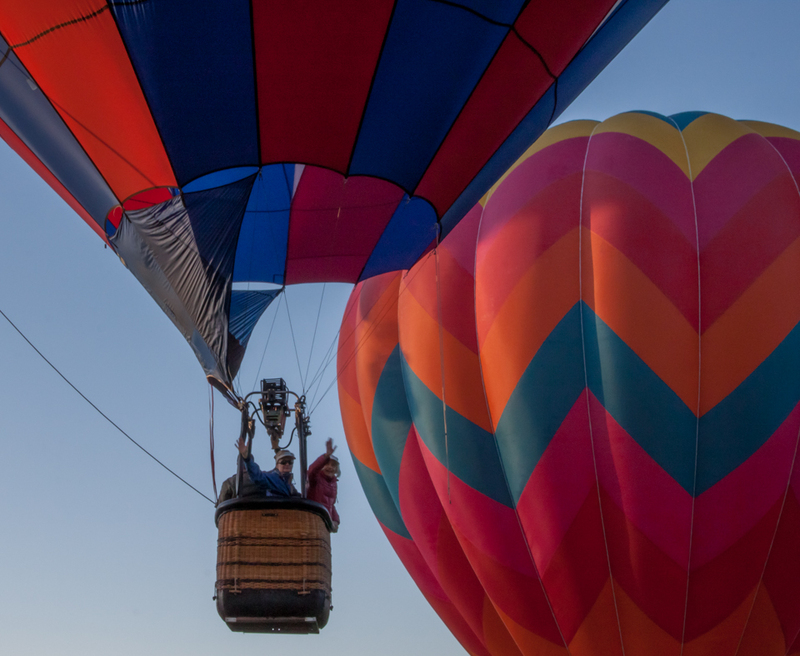 If your bucket list includes a hot air balloon ride, this is the perfect time to fly with us at The Ogden Valley Balloon and Artist Festival. The Ogden Valley has some of the best views in Northern Utah. Imagine if you had the once in a lifetime chance to see this amazing valley from the sky. As you soar above the trees, you will see the shimmer of the sunlight on Pineview Reservoir, the elevated peaks of Snowbasin Resort, and the golden fields spanning the valley. For $1,000 dollars for two days for two people, or $520 for one day for two people, you can have this elevated experience when you sponsor one of our many balloons. This includes a hot air balloon ride for two, and the option to attach a 36 X 36 inch grommeted banner on the balloon’s basket advertising your business (you must provide the banner). Please contact us by email here to reserve your balloon for August 17 or 18 at 6:45 A.M. Space is limited, and the fee is non-refundable and non-transferable. For more information about what to expect riding in a hot air balloon, click here.